Unfortunately, even the finest Veterans Affairs physicians, surgeons, nurses, medical technicians, and hospital staff make mistakes. Whether those mistakes were caused by carelessness, recklessness, or a simple slip of the fingers or computer error, the victims of medical malpractice are forced to live with the results. The financial damages caused by such an error can be devastating, whether the injury or illness results in disability or not. Medical malpractice takes many forms, including misdiagnosis, surgery mistakes, neglect, and more. If you or a veteran family was member injured in a Veterans Affairs hospital, you may be able to file for disability benefits under Title 38 U.S.C. 1151 Claims. In order to qualify for these disability benefits, the injury must have occurred due to, or been aggravated by, a VA-sponsored medical treatment, a vocational rehabilitation course under 38 U.S.C. Chapter 3, or a compensated work therapy program under 38 U.S.C. 1718. Of course, the injured person must be a veteran and have suffered a disabling condition as a result of one of the three previously mentioned scenarios above. 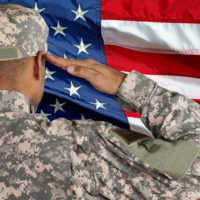 Under the Federal Torts Claim Act (FTCA), you may sue the VA department for medical malpractice as a second option, which may be a good choice if your medical malpractice injuries are very severe, you were put under serious pain and suffering, you are denied disability compensation, or the negligence of the at-fault party is egregious. Unlike disability compensation benefits, a lawsuit can also include pain and suffering damages, which are often the most serious of all types of financial damages. While a VA disability benefit may result in a lifetime monthly payment of a few thousand dollars, a lawsuit could potentially net a lump sum of six or seven figures depending on the extent of your injuries. During your pursuit of financial compensation or disability benefits, it should be noted that not all injuries, illnesses, or disabilities that you suffer after a VA medical procedure are the result of negligence. In order for the physician or caregiver to be held accountable, it must be proven that they violated the standard of care. The standard of care states that, for example, a broken femur for a 49-year-old male located in White Plain New York should be treated, specifically, in such and such manner. If the physician violated that particular standard of care by deviating from how most physicians would tend to the fractured femur, and a serious injury or prolonged healing time resulted, it could possibly be shown that the physician was negligent. This pertains to any sort of injury, illness, misdiagnosis, medication error, or any other type of medical malpractice. If you have been the victim of medical malpractice in a Veterans Affairs hospital or health service center, you may be entitled to compensation through Veterans Affairs disability benefits or a lawsuit award. To find out more, we encourage you to talk to an attorney as soon as you can. Call the Law Office of Michael Lawrence Varon in White Plains today for help throughout each step of your case.